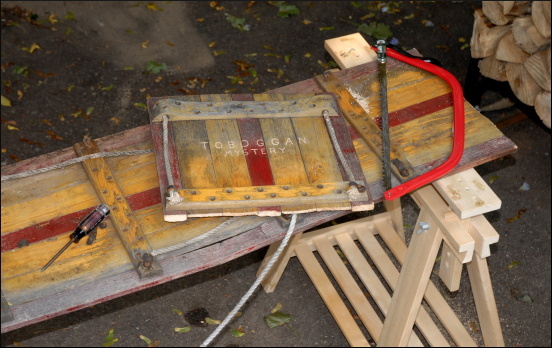 Toboggan Mystery. 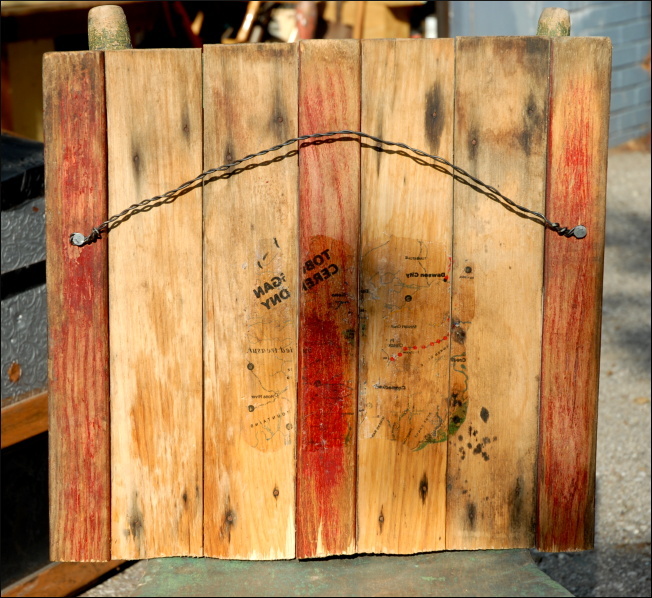 18" x 20". 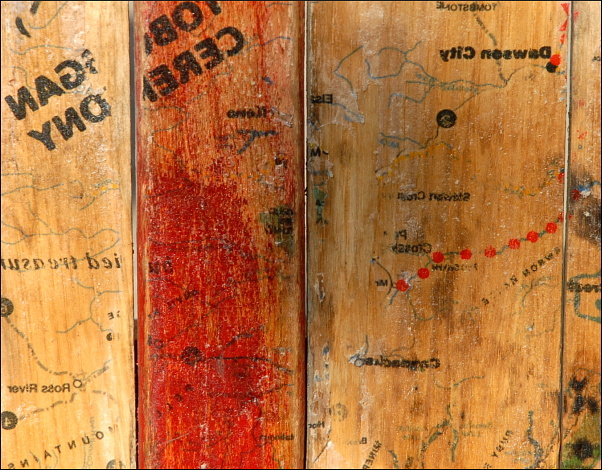 Made from old toboggan cut with saw; repaired with screw driver and glue; enhanced with wood carving tools, black Deco paint pen, nails, wire, and a map applied using t-shirt transfer paper. 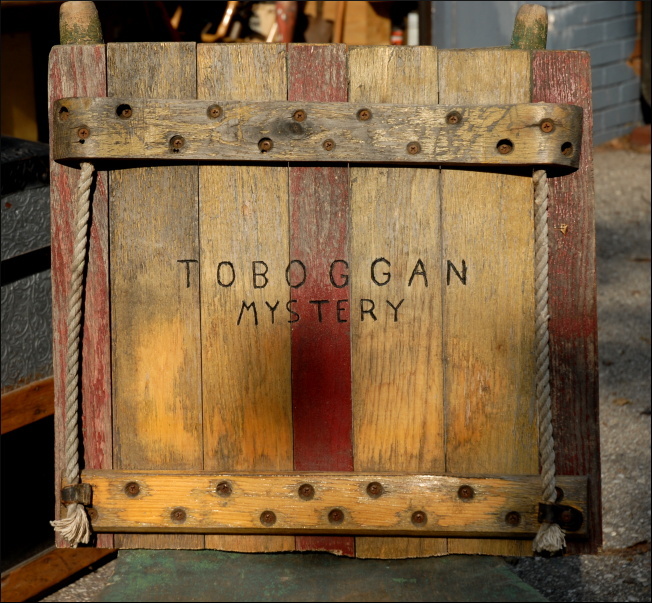 I made "Toboggan Mystery" to celebrate my sister Marilyn's recent birthday. 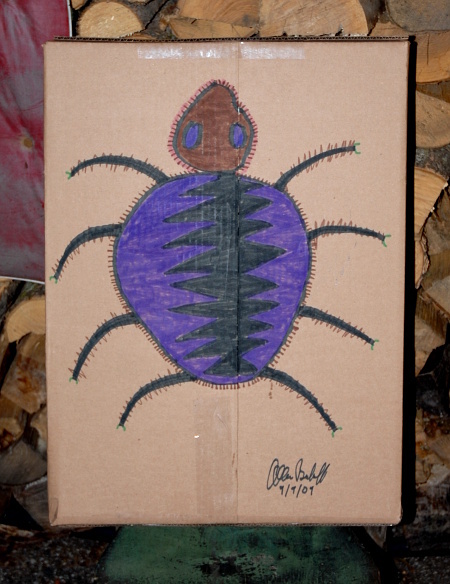 I mailed it to her in a box on which I drew a big bug (Marilyn doesn't like bugs, and I am her younger brother whose job it has always been to tease her--a job I enthusiastically embraced my whole life long). 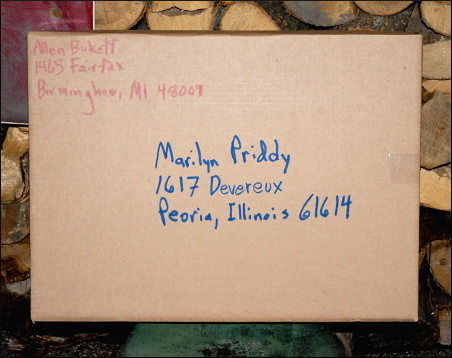 The text and images by Fluxus Midwest is licensed under a Creative Commons Attribution-Share Alike 3.0 United States License.